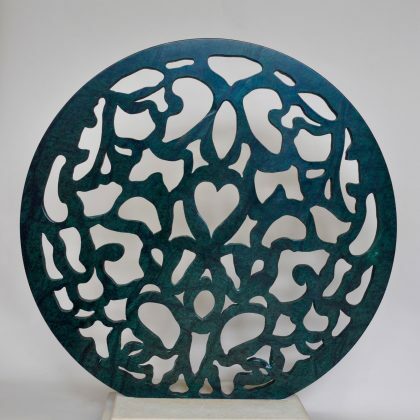 Simon Burns-Cox creates beautiful contemporary hand carved exterior garden sculptures and bas reliefs for walls for all types of garden. 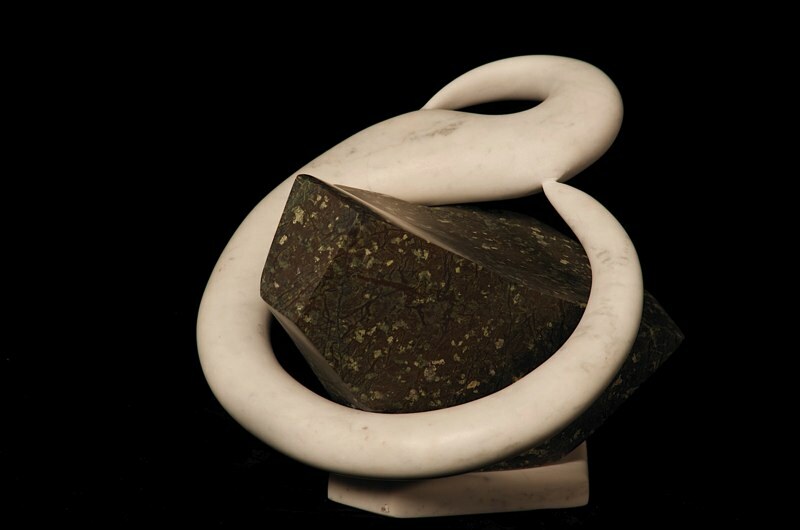 He works mainly in stone and marble but also in other media such as slate, alabaster, wood and metal. Both hand tools and modern machinery and technologies are used. These sculptures and reliefs are often bespoke and unique commissions which are created specifically for an individual garden. There is an initial consultation with the client and an on-site visit to discuss installation if required depending on location. Simon will discuss with the client the ideas for the design, the choice of materials to be used, the size of the sculpture and its overall finish, the timescale and the costs involved. The client will be kept fully informed throughout the whole process. Sculpture is often used as a focal point in a garden but it can be equally used to lead you to other parts of the hidden garden along paths or areas tucked under trees or walls. An exterior garden sculpture or relief is like a piece of art in a gallery with the surroundings acting as a backdrop to the work. You need to consider the size, shape, colour and texture of the work. Stone or Marble are particularly good for sculpture in a garden: as the materials are durable and blend in well with nature. Before placing the sculpture in a garden, you also need to think about the light, space and the surrounding landscape. Water and lighting also interact well with sculpture creating an illusion and a more complex and enchanting environment. Some of the most popular types of exterior garden or outdoor sculptures reflect nature, abstract forms and human heads or figures. If you would like to purchase or commission an exterior garden sculpture for your garden, there is a fixed cost with payment in advance before the work commences with a written commission agreement. 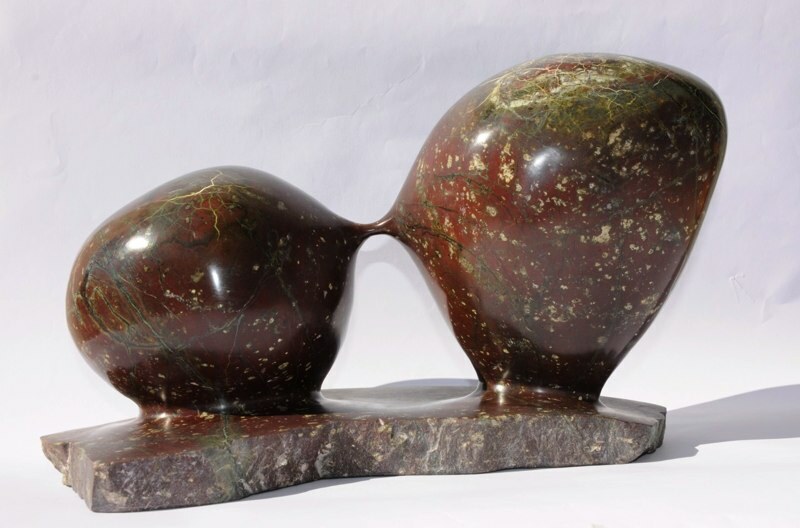 If installation is required, the sculpture will be securely fixed in position and aftercare and maintenance will be discussed with the client. Please do not hesitate to contact Simon at info@simonburnscox.co.uk. to discuss your requirements. Simon’s work is sold throughout the UK and overseas and can be delivered by courier at additional cost. A certificate of authenticity is available. Contact Simon Burns-Cox for more information. 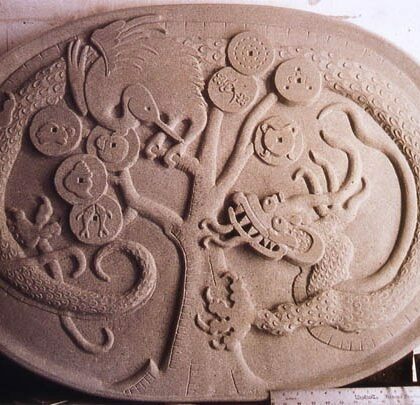 Courses in Stone carving, Stone Letter Carving, Sculpture, Stone Relief Carving available.